#1 Because the only thing more captivating than Hugh Jackman’s dancing legs is the humble nature of the Aborigine people, the traditional caretakers of majestic Uluru/Ayers Rock. Suddenly Broadway is awash in the sights and sounds of the Australian outback. And while there’s high camp fun as the manly ladies of Priscilla Queen of the Desert high tail it to Uluru/Ayers Rock in a glammed up camper van, the utterly dashing Hugh Jackman has a leg up on them—in authenticity. Near the end of his second act of Hugh Jackman Back on Broadway, the captivating star tells the story of having been forever changed living with Aboriginal people in his early ‘20s. Cue video montage of spectacular footage set to the didgeridoo and vocalizations of some of the top Aboriginal performers in Australia. It’s a special moment to see the worlds of big box office Broadway collide with an intensely naturalistic and ancient culture. Made even more so to see how appreciative, yet humble the Aboriginal stars took in the adoration. 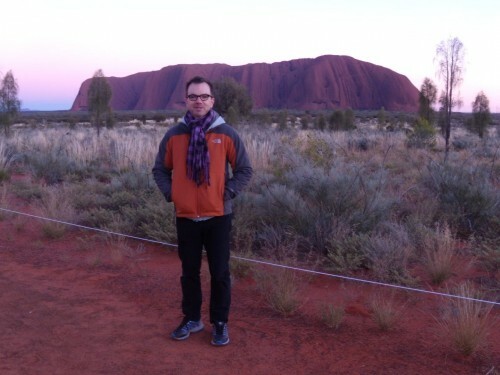 That special blend of low-key attitude I experienced first hand on my recent trip Down Under to Uluru/Ayers Rock. For many years, it was a right of passage for many Australians (and foreigners) to visit the enormous rock formation in the Red Centre of the country—and climb to the top in triumph. 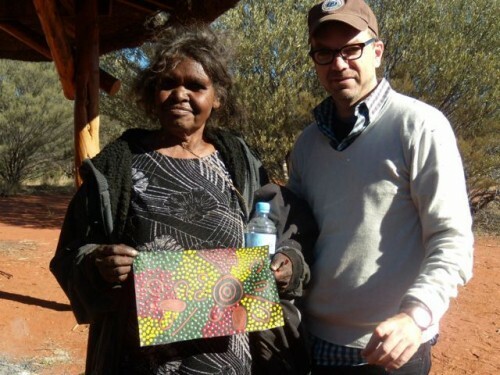 But to the Anangu people, the Aborigines who have lived in the area for thousands of centuries long pre-dating Westerners, Uluru is an incredibly sacred site, fully integrated into their religious story telling and beliefs. It’s incredibly difficult to think of a Western comparison. Scaling and taking pictures atop Jerusalem’s Wailing Wall? 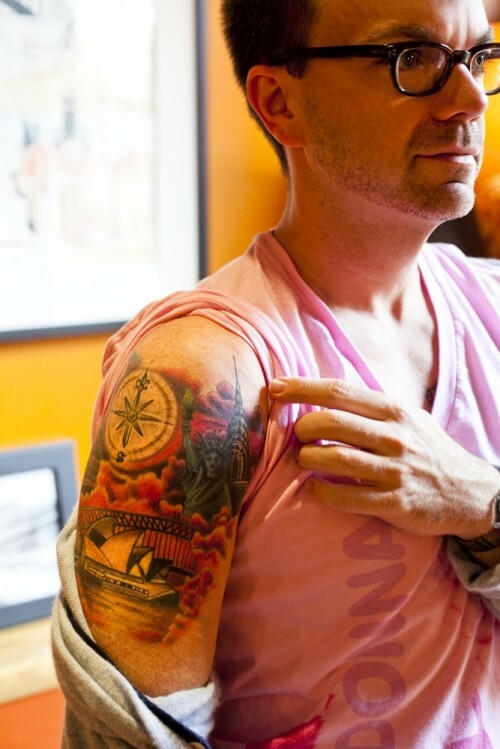 Or for a more secular option, rock climbing the face of the Statue of Liberty? 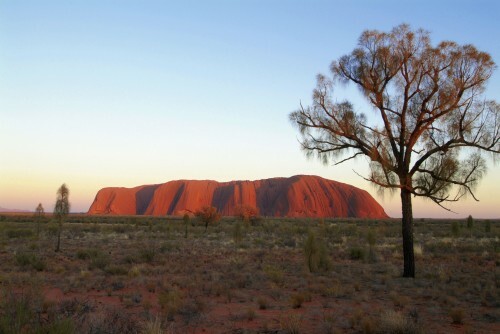 So when the management of Uluru was finally returned to their watchful hands by the Australian government, I fully expected the Anangu would just proclaim an outright ban on climbing the rock. 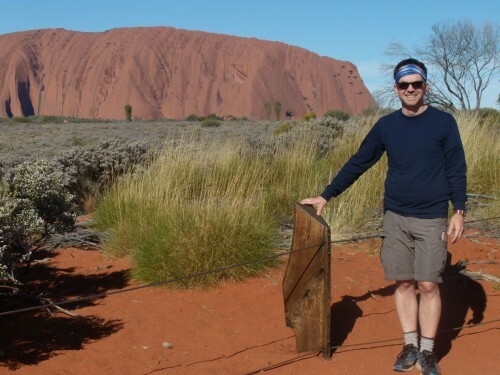 Imagine my surprise then to see a load of visitors climbing Uluru, ignoring just one gentle sign saying, “That’s a really important sacred thing that you are climbing…You shouldn’t climb. It’s no the real thing about this place. The real thing is listening to everything. And maybe that makes you a bit sad. But anyway, that’s what we have to say.” At first, my Western sensibility thought, “Just ban the idiots from climbing!” But as I spent more time at Uluru, including tours with the Anangu people, I took to heart listening to everything and understanding, albeit in a small way, the mystical nature of the place. Soon, I came to appreciate the understated yet elegant methods of the Anangu. While I only carry the memory of Uluru in my mind, hopefully the spirit of its caretakers stays with me. Awakened in unexpected places like a trip to Broadway.